Personalized counsel built on deep relationships and trust across all aspects of estate planning. Our attorneys provide practical, well-considered counsel on virtually all aspects of Trusts & Estates for: wealthy individuals, families, business-owners, and institutional trustees. Safeguarding and carefully managing your assets can be a complex matter. We provide personalized guidance and a depth of expertise in estate planning, estate and trust administration and estate and trust litigation needs. A trusted advisor for a variety of situations. Ensuring that your estate is administered precisely according to your wishes is best accomplished through careful planning by an experienced hand. We develop strategies that take into account personal, legal, and tax considerations associated with your specific goals. 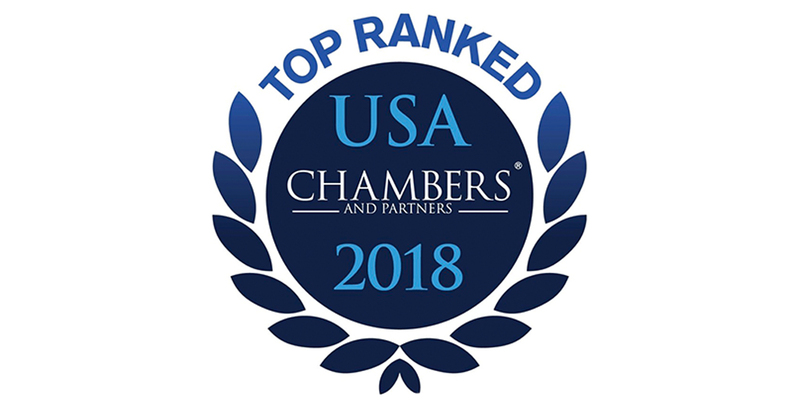 Our attorneys bring thoughtful strategies and deliver comprehensive services on virtually all aspects of trusts & estates in a manner that maintains utmost discretion and inspires deep confidence and loyalty. We provide a sound approach to a variety of trust & estates clients for unmarried individuals, couples, families, businesses, and institutions. Estate Planning – We work with you in the creation and execution of wills and trusts, preservation and disposition of assets, financial and health care powers of attorney, durable powers of attorney, Medicaid planning, living wills, and other related documents. Estate & Trust Administration – We handle all aspects of probate and estate settlement. Additionally, we provide advice to fiduciaries regarding the proper administration of estates and trusts, including tax planning as well as the management and distribution of assets. Fiduciary Services – We advise fiduciaries and beneficiaries regarding trust and estate matters coming before the relevant local court. This includes preparation of all court documents and court appearances. Charitable Giving and Planning Advice – We advise individuals and charities about issues related to charitable giving. This includes the creation of trusts that provide charitable and individual benefits, as well as other sophisticated charitable-giving techniques, including family foundations. Wealth Transfer Planning – We ensure a smooth transition of wealth from one generation to another. Specific advice includes irrevocable life insurance trusts, grantor retained annuity trusts, qualified personal residence trusts, installment sales to grantor trusts, and other sophisticated wealth transfer vehicles. Executor/Trustee – We prepare all probate documents and trusteeship appointment documents. We will appear in court, if/when necessary. Personal legal/financial planning – Advice on issues related to premarital planning, asset protection, and financial planning. We helped a father sell his $30 million Sub-S company to specially prepared grantor trusts, one for each son. The sale was structured as a non-taxable sale, removed all ownership of the company from father’s estate without gift tax consequence and used company distributions to finance the purchase. The net effect of the transaction was that father received $20 million of distributions from the company for the sale and paid taxes on those distributions rather than a $30 million asset. A client of ours died in a truck accident, leaving a complex estate that included numerous car dealerships and trucking companies. In addition, the client owned a vast amount of commercial real estate. Significant corporate and real estate work has been undertaken by a cross-disciplinary team of Hinckley Allen professionals to help our client’s executors settle the estate efficiently, peacefully, and with the lightest tax burdens possible by law. Our client hired us while serving as trustee of an irrevocable trust. They had ongoing company difficulties in managing and maintaining a viable working relationship with a beneficiary who had similarly troubled prior corporate trustees. The client wanted to resign the trusteeship, but there was no provision for a successor in the original trust. We filed documents in RI Superior Court to help the bank successfully resign their obligation—with careful regard for minimizing their legal expenses in the process. Unmarried Individuals – We understand the unique concerns that affluent, unmarried individuals face with regard to wealth transfer, wealth preservation, and charitable giving. We can help you define your objectives and advise you on the best way to achieve them. We also provide counsel in premarital situations, including the preparation of prenuptial agreements. Couples – We help couples work through the myriad concerns that surround estate planning and wealth transfer. Having a clear plan and working through your priorities—as a couple and as individuals—can improve both the legacy you leave behind and the life you lead together today. Families – If you are a member of an affluent family, you can benefit from the experience of advisors who intimately understand your unique dynamics. Safeguarding legacies—financial, philanthropic, and personal—over multiple generations requires a comprehensive understanding of the law along with proven abilities in discretion and diplomacy. Business Owners – As a business owner, you may face the prospect of having an asset base that is largely concentrated in a single asset—your business. We can assist you with issues concerning tax planning, wealth transmission, business succession, and estate liquidity in order to preserve and extend your business and the legacy you have built. Institutional Clients – We advise banks, trust companies, and nonprofit organizations on fiduciary matters such as the administration of estates, tax issues, issues relating to trusts, and the creation of charitable foundations and trusts.